When it was recently announced that the federal deficit was $2 trillion higher than previously estimated, corporate vultures — after years of high-altitude circling — began their descent. 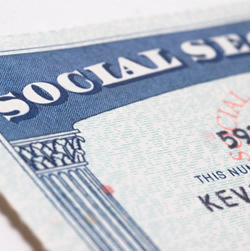 The dying entity they’re after is the U.S. social safety net — Social Security, Medicare, etc. Years of waiting have finally paid off; the long awaited pretext for scavenging has arrived in the huge federal deficit. Administration’s Budget Office: “…the president is committed to addressing the shortfall in the Social Security system.” (August 25, 2009). Although vague, the comment lines up with Obama’s election campaign promise of “reforming entitlement programs.” Not once has he said that more resources should be diverted to them. Corporate-orientated Time Magazine was more blunt: “The real budget problems lie in the long-term programs, such as Medicare and Social Security… it’s one thing to spend our way out of a recession. It’s entirely different if we keep doing this forever.” (August 25, 2009). “…even if a health overhaul does pass, it may not include the tough measures needed to bring down spending. Ultimately, the only way to do so is to take money from doctors, drug makers and insurers, and it isn’t clear whether Mr. Obama and Congress have the stomach for that fight.” (June 9, 2009). The real reason that the U.S. “cannot afford” Social Security and Medicare is because the Obama Administration has other priorities. Like Bush, Obama continues to spend billions of dollars on two foreign wars — Afghanistan and Iraq — while beginning a third in Pakistan. The truly insane annual military budget that existed under Bush will rise with Obama to $534 billion in 2010. Another reason for the deficit is the bank bailouts, yet another policy of Bush’s that Obama continued and escalated. The Inspector General for the TARP bailout program, Neil Barofsky, reported that the potential costs for the bailout could be $23.7 trillion! To combat the immense rage resulting from the bailouts, media outlets recently published reports of U.S. taxpayers “profiting” from the bailout as select corporations repaid their portion with interest, though the profits were minuscule and hardly attention worthy. It was admitted, however, that “The government still faces potentially huge long-term losses.” (New York Times, August 31, 2009). Make no mistake, the corporate elite want the U.S. deficit taken care of and they don’t want to pay higher taxes to do it. They rightfully fear that foreign investors — most notably China and Japan — will quit feeding the American debt machine unless the deficit is drastically reduced.